I decided to share this recipe, since it was such a big hit. We shot a peanut butter pie in the studio, the stylist made two different recipes and this was the winner. I brought some home and it did not last long. 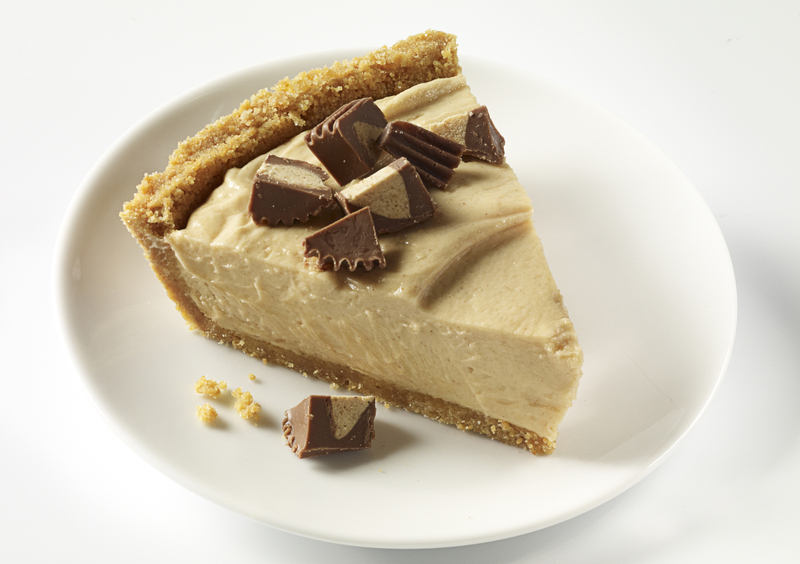 If you are a peanut butter and chocolate fan this is a sweet treat, emphasis on the sweet and rich. We garnished the pie with reeses peanut butter cups and made a graham cracker crust instead of the pie dough. Both sounded like improvements. 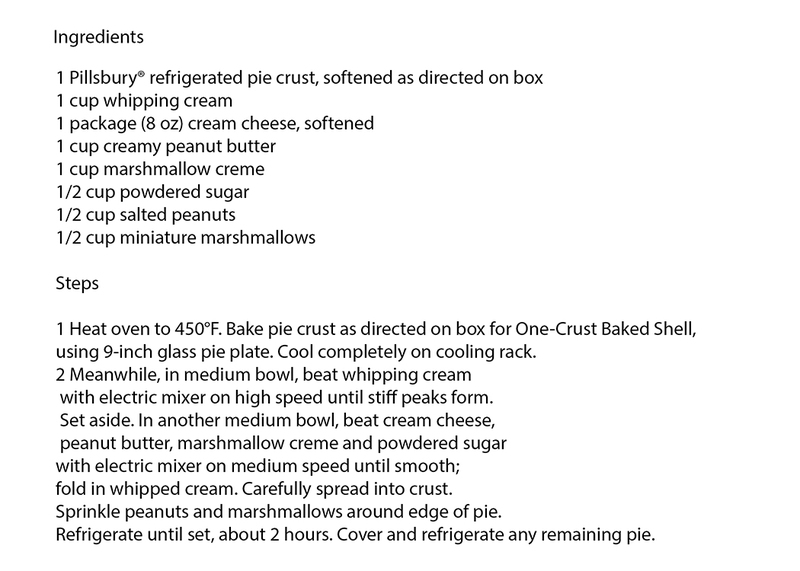 This recipe is from the pillsbury web site fluffernutter pie. I may just have to make this some day for someone special. This entry was posted in dessert and tagged dessert, Fluffernutter Pie, peanut butter, peanut butter pie, pie, reeses by photoappetite. Bookmark the permalink.